It was in September 1966 that the starship Enterprise first warped into American living rooms on its five-year mission to boldly go where no man had gone before. Now the five years have become 50, and with six subsequent television series; 13 feature films, including the new “Star Trek Beyond” hitting theaters in July; and yet another series planned by CBS for early 2017, the Enterprise and its multitudinous offspring show no signs of aborting mission. But the fans lining up for tickets this summer should know that they might not be there if it weren’t for a tiny ad that ran in the personals column of the Ann Arbor News on Dec. 30, 1971. George Christman was a computer programmer at U-M in 1971, when he first reached out to other “Star Trek” fans to appeal for more episodes of the series. Decades later, there have been six subsequent television series as well as 13 feature films. Those who dialed the phone number reached George Christman, now 65, a long-haired computer programmer for U-M’s Space Physics Laboratory. At the time, Christman was spending most of his off-hours floating in the deep end of Ann Arbor’s wild-and-woolly countercultural scene. Christman came up with a name—Star Trek Association for Revival, or STAR—and placed his ad. The phone started ringing right away. “Most people were just curious, but a few were really into it,” he said. Word spread quickly, and before long STAR could boast several hundred Ann Arbor members with branch groups forming in other cities. That February, an article about Christman’s group appeared in the Michigan Daily, followed by a story in the Detroit Free Press. “After that, there was no stopping it,” Christman remembered. “It went all over the country. They must’ve printed my address because I started getting tons of mail, too.” Membership eventually reached 250,000, spread over 13 countries and each of the 50 states. But Christman really wasn’t a Trekkie or Trekker or sci-fi groupie. He just liked the show and wanted more episodes to watch. When STAR started to become a fan club, he decided to bow out. “Star Trek: The Motion Picture” premiered a few years later, in 1979. Christman was pleased but would have preferred a new series. Ironically, when the show finally returned to the small screen in 1987 as “Star Trek: The Next Generation,” Christman completely missed it. At the start of the 1980s, he had turned over a new leaf, leaving the rock ’n’ roll lifestyle behind and raising his kids, both U-M alumni, without television. It wasn’t until the 21st century that the founder of STAR—who is now retired from U-M and an Uber driver—began following the adventures of the U.S.S. Enterprise again. He rented every episode of the various series and every one of the movies and watched them all. The “Star Trek” franchise has featured several actors who attended U-M. 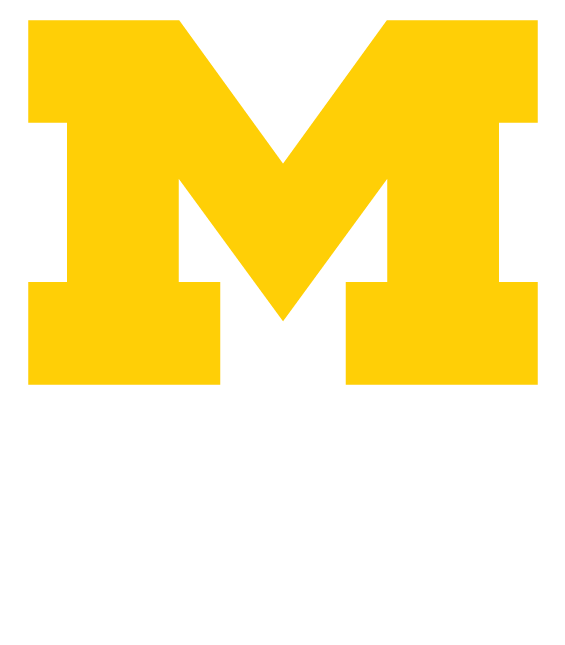 Learn more here about their U-M connection and their roles in the popular television series and films. After being discharged from the army at the end of World War II, Lenard studied theater at U-M, then moved to New York to start a long and successful acting career that lasted until his death in 1996 at age 72. A friend’s wedding took Kovack to New York the day after she graduated from U-M, and she was discovered in a cattle call for the “Jackie Gleason Show.” After working as a dancer for Gleason, she landed roles in other television shows and films, acting alongside the likes of Vincent Price, Elvis Presley, and The Three Stooges. Throughout the 1960s, she appeared on popular programs such as “Bewitched,” “Perry Mason,” “Batman,” and “Mannix,” for which she earned an Emmy nomination in 1969. In a memorable episode of the original “Star Trek” series, Kovack played villainess Nona of the Hill People, who saved Captain Kirk from a poisonous gorilla bite, then knocked him out and stole his phaser, only to be killed later attempting to bargain the weapon to enemy villagers. Dunn was a gifted actor and musician who came to U-M in 1951 intending to study government administration but was seriously injured after being knocked down a flight of stairs and spent the next three months in a hospital bed. Following his recuperation, Dunn transferred to the University of Miami and embarked upon a remarkable acting career that featured roles in “Bonanza” and “Night Gallery” as well as an Oscar nomination for his work in the movie “Ship of Fools.” He died in 1973, aged 38. During World War II, Colman came to the University to study at the Army-sponsored Japanese Language School. He died in 2014 at age 91. Alan Glenn is president of the Michigan History Project, a 501(c)(3) educational organization based in Ann Arbor. For more information, visit michiganhistoryproject.org.